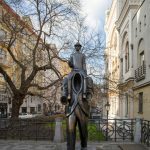 The most frequented museum in the Czech Republic, Prague’s Jewish Museum is made up of four synagogues and the Old Jewish Cemetery as well as an art gallery and the Old Ceremonial Hall exhibition space. 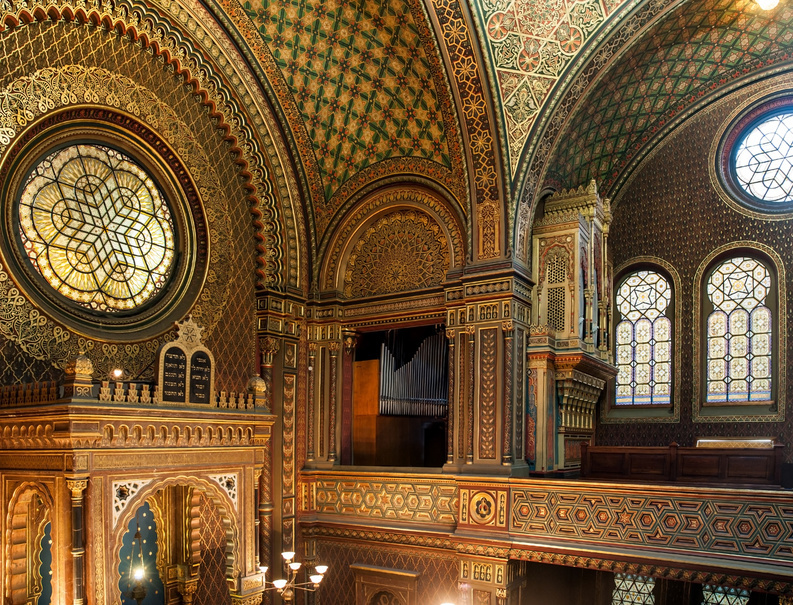 The Old-New Synagogue, though not part of the museum, is another sight not to be missed. 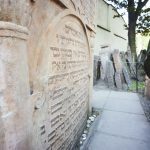 You are certain to have a unique cultural experience while learning about the life and traditions of Jews who were confined to the former Prague Jewish ghetto for more than 600 years. 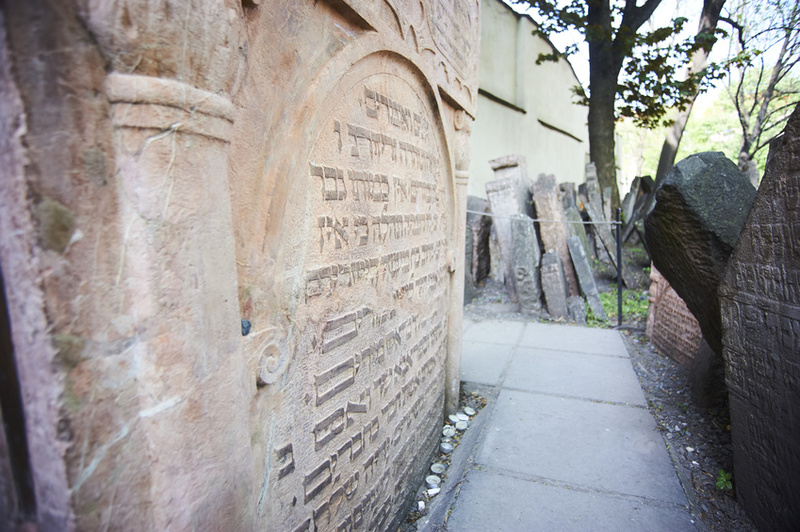 Did you know that Prague is the only European city that kept its Jewish heritage intact during WWII? Take this tour and find out why. 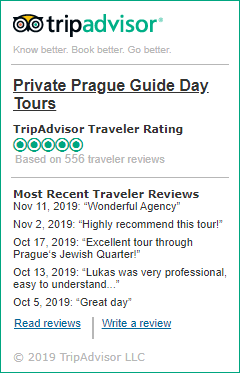 “Our guide had a special Prague Jewish Museum license and was wonderful! She took us through different key sites including the Old-New Synagogue, the Klausen Synagogue, the Jewish Cemetary, the Jewish Museum (Pinska Synagogue) and throughout the time she answered questions and gave great history and explanations…” Read more testimonials on our Prague Guide Day Tours profile at TripAdvisor.com. 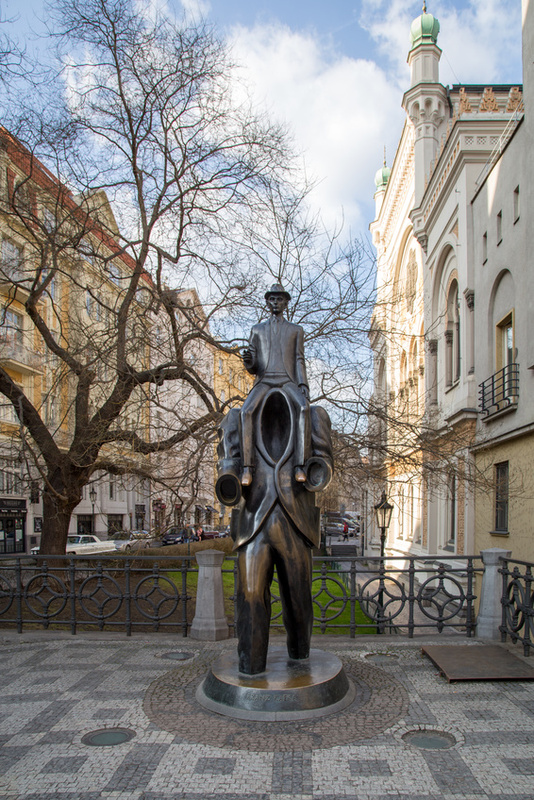 Franz Kafka attended services here. Legend says that Golem, that artificial being made of clay during the 16th century, is hidden in the attic. Built in Gothic Cistercian style during the latter part of the 13th century, the Old-New Synagogue is the oldest building in the Jewish Town and one of Europe’s oldest synagogues still in use. 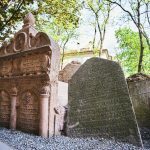 Each of the 12,000 tombstones tells a unique story. 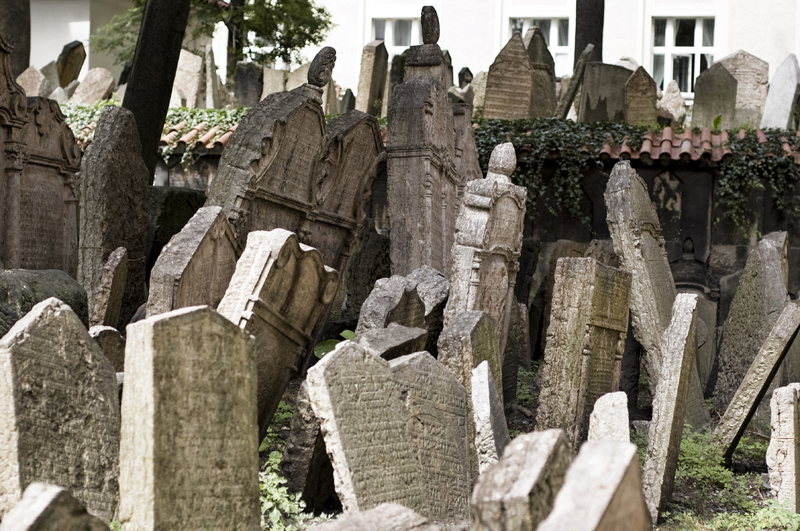 The only burial place for Prague Jews from 1439 to 1787, the cemetery has some 100,000 occupants. 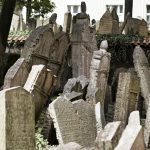 In the third oldest Jewish cemetery in Europe lavish tombstones reflect the golden days in the 16th century Renaissance, when Emperor Rudolph II ruled. Grosssova, Grunbaum, Klopper, Meiselova, Friedenthal, Seiner, Ledererova. The 77,297 names of Holocaust victims jump out at visitors, slapping them in the face with the reality of the Jews’ tragic plight during World War II. All of a sudden, the names on the walls are not merely names but individuals, who had plans to make, goals to achieve, lives to live. 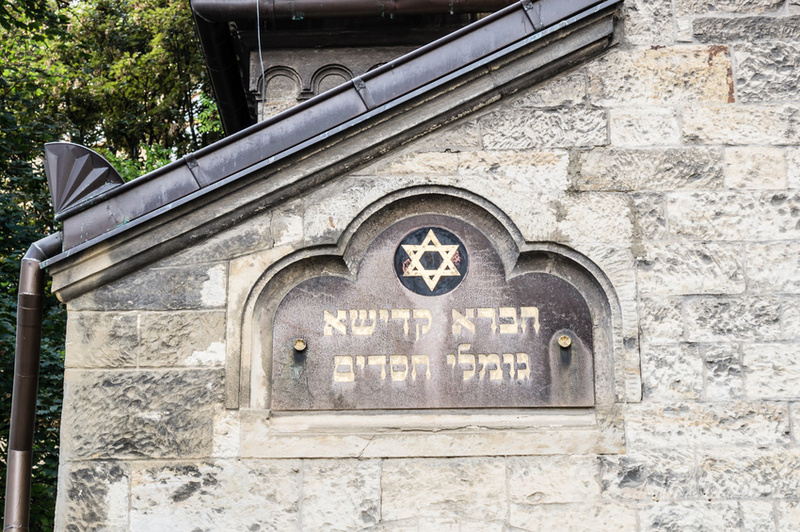 Listing the names on the walls of the Memorial of Holocaust Victims of Bohemia and Moravia at Prague’s Pinkas Synagogue brings to mind the horror of those times. 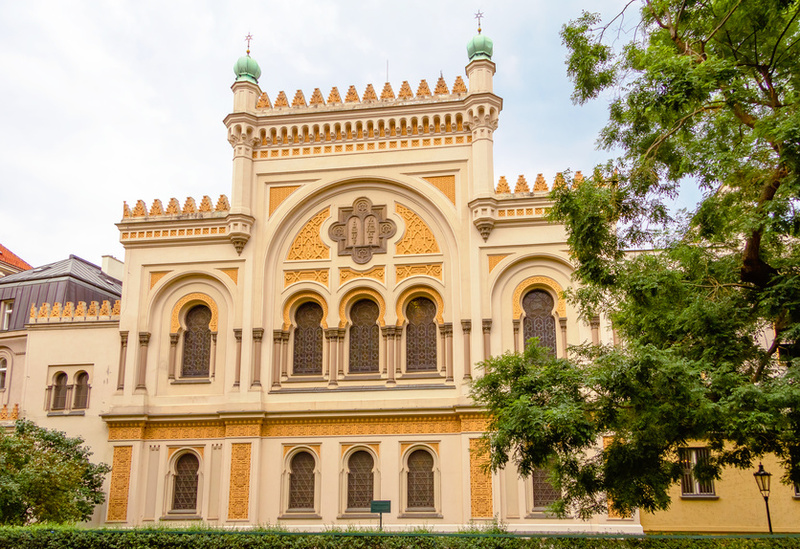 Arabesques, gilt and polychrome motifs with a dazzling combination of rich green, blue and red hues make this Moorish-style synagogue one of the most beautiful in Europe. 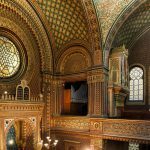 The interior of this 19th century creation is breathtaking with its Torah ark and central dome as masterpieces of Spanish-inspired architecture. Now a permanent exhibition of Jewish history from the 18th century Enlightenment period to the present is housed in this remarkable building. Initially, the synagogue consisted of three buildings. 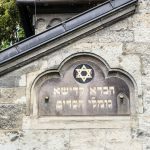 One structure was used for religious services, another comprised a hospital and ritual bath, and the third was a Talmud school where, during the 16th century, the renowned Rabbi Loew taught. According to legend, Rabbi Loew created the clay artificial figure of the Golem, who was supposed to defend the Jewish Town against anti-Semitic attacks. 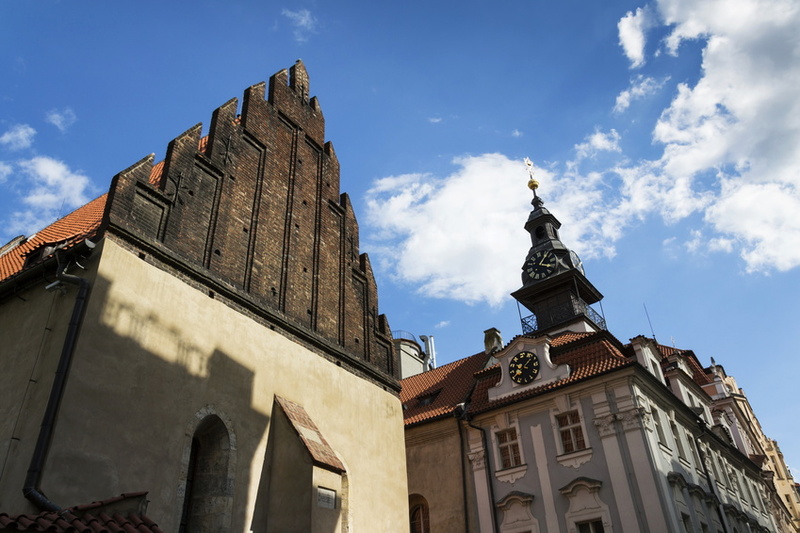 The synagogue was erected in honor of Emperor Maximilian II’s visit to the quarter during 1573. 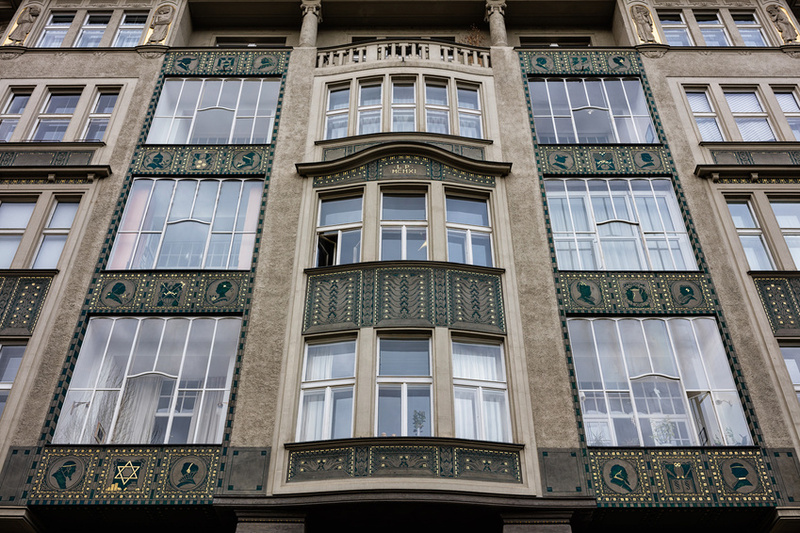 Its interior consists of stucco decoration, stained glass windows adorned with the Star of David and a barrel vault with motifs of ribbon and fruit. 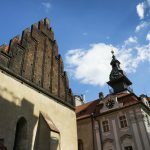 This Renaissance building with Gothic features was constructed for a wealthy Jewish mayor in the 16th century as his private house of worship. 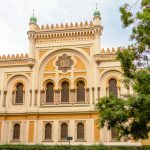 It became the largest synagogue in the district. 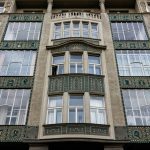 During World War II, about 6,000 objects that the Nazis wanted to install in their museum dedicated to the extinct Jewish race were stored here. 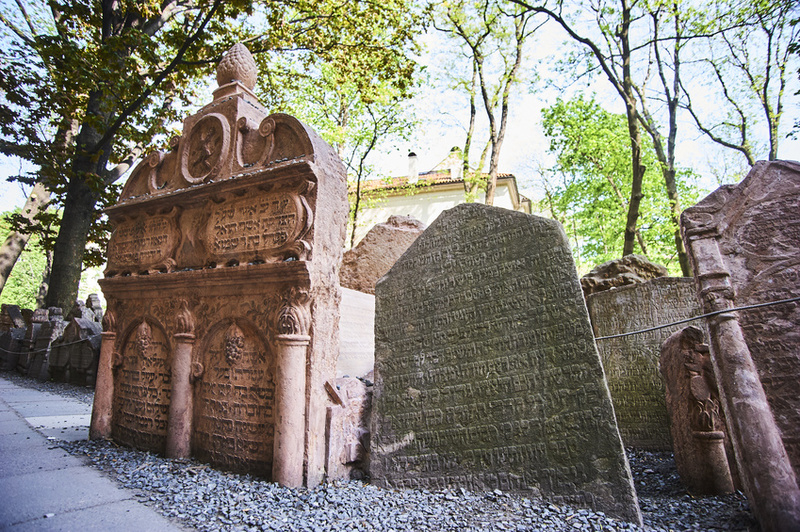 The exhibition today features 1,000 years of Jewish history in Bohemia and Moravia from the 10th century to 1780. Comments MONEY SAVING TIP: In Prague, we highly recommend choosing our unique walking tours (rather than driving tours), for the most interesting places in the historical center are accessible only for pedestrians. One can always use public transportation or take a taxi which will be much cheaper than hiring a car and a driver.